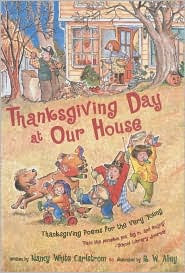 I thought some of you might be looking for Thanksgiving poems to share with children so I decided to write a review of Thanksgiving Day at Our House: Thanksgiving Poems for the Very Young. I’ve also included the full text of two traditional poems and a link to Ivy O. Eastwick’s Thanksgiving, a poem I used to share with my elementary students every November, in this Poetry Friday post. 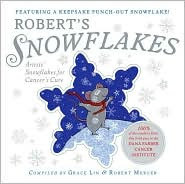 This book opens with a poem that is set on the day before Thanksgiving at an elementary school where kindergarten and first grade students are celebrating the holiday with a pageant. 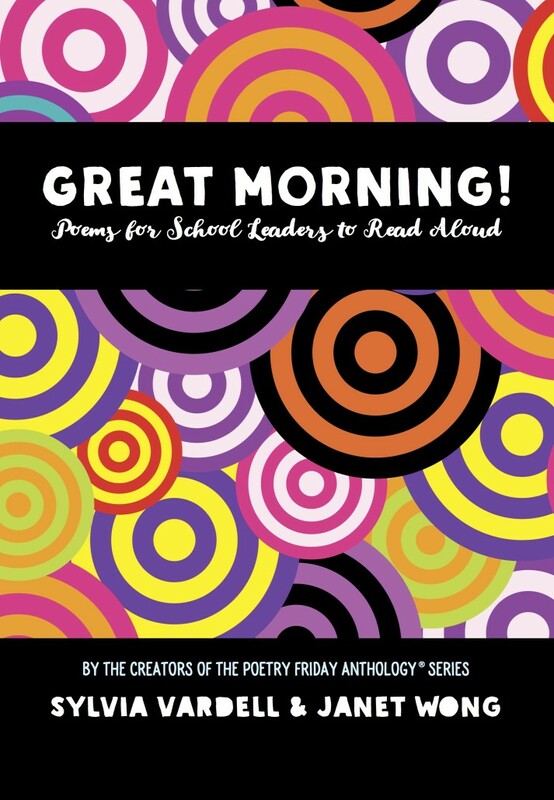 The fifteen poems in this collection take us through the school festivities as well as those of a family with three young children. 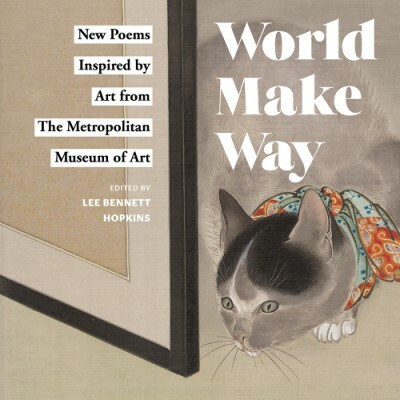 I'll give you a flavor of the poetry you'll find in this book. Here is the first stanza of the first poem. are squawking out their calls. And thank you for friends. 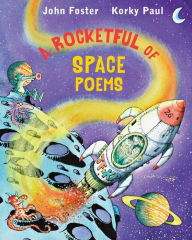 The rest of the poems take place at the home of the family hosting the Thanksgiving Day feast. There’s a poem in which Granny tells the children what it was like when she was a little girl. There are poems about activities that young and old relatives participate in before dinner: Thanksgiving Parade and Thanksgiving Charades. There are four poems about giving thanks: Thank You God for Bugs, Graces, Thank You Singing Game, and Goodnight Prayer. There is also Prayer for Others, a poem in which the children ask God to help Grandma to get better and to help those less fortunate than they. I don’t want to leave the impression that all these poems and prayers about thankfulness and thinking about others lends a too-serious tone to the book. 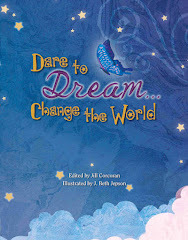 The poems are told from a child’s perspective and many are expressed with a childlike exuberance. In addition, R. W. Alley’s cartoon-style illustrations, rendered in pen-and-ink and watercolor, add a lot of levity and humor. They complement and extend the text. In the illustration for the poem Rhyme Time Thanks, Alley depicts a family busily preparing the Thanksgiving dinner. The painting abounds with lots of droll details: The dog has a slice of pie in its bowl; a mouse looks at cream that has spilled onto the floor as Grandfather whips the cream into a froth; the youngest child pushes a cat around the kitchen in a rolling baby chair. Here’s an excerpt from The Way It Is at Our House, one of the most lighthearted poems in the collection. Do Uncle Ernie’s socks match? Does Joey’s little dog scratch? Does Granny Nan tell funny jokes? Thanksgiving Day at Our House ends with Goodnight Prayer, a poem in which the young children of the family who hosted the holiday dinner express their gratitude for all the things they appreciate—including their happy feast, friends and relatives, blankets and toys, Papa’s singing noise and Mama’s kisses. 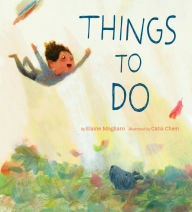 This is a delightful read-aloud to share with young children at Thanksgiving time. It's all about being thankful and sharing happy times with people close to us. Kelly has the Poetry Friday Roundup at Big A, little a today. Perfect timing. We're off to the library this afternoon. My middle one will be thrilled with these books--she's counting down the days until Thanksgiving. What a great roundup. I wonder if anyone would mind if I brought my laptop to the Thanksgiving table? Thanks, Elaine, especially for the traditional Thanksgiving poem. I've never heard that one before. Thanks for these wonderful poems and the book ideas. William and I go to the library every Friday after school. We picked up Turk and Runt and a few others. He's thrilled! Love the book ideas. 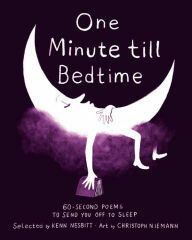 My oldest son is almost three and would love some of these poems. 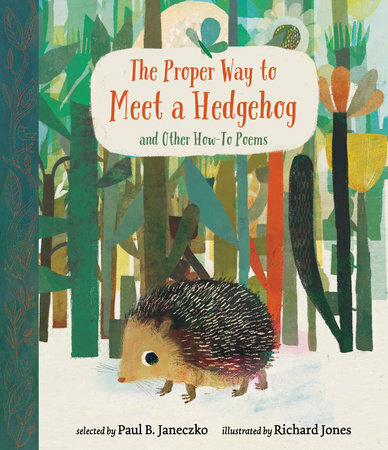 I'm always looking for poetry and books he will like! This is perfect for next week - to help celebrate the season. Thanks! Thanks! This will be a fun new tradition for our family. Those are really great poems! With these beautiful Thanksgiving poems, I'm sure people who're looking for such things, would have great time celebrating the holiday. I don't have a poem to share with you, but all that I can say is Happy Thanksgiving in advance. I've been looking for great Thanksgiving stories and poems. These are wonderful and thank you for sharing them. There is a great collection of heartwarming and fun Thanksgiving stories I found at http://www.thanksgiving-food-gifts.com/npr-short-thankgiving-stories-true-real-story.php. You can actually listen to stories aired on radio. The one I like is the one by Cody where he shares his Thanksgiving memories about his grandmother. Wow!